RBSXTG-5HPacD is end of life (EOL). MikroTik recommends RBSXTsqG-5acD for direct replacement. The new AC standard is here, with up to 866Mbit over the air datarate, 256-QAM modulation, and 80MHz channels. 802.11ac opens up new possibilities and speeds never possible before. 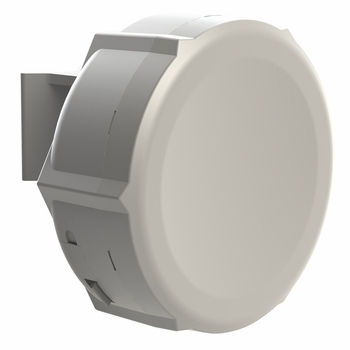 The SXT ac is a new member in MikroTik's 802.11ac product lineup. It also supports 802.11a/n mode and is compatible with all legacy RouterBOARD devices, including Nstream and Nv2 protocols. Both devices come with Gigabit Ethernet. New products are backwards compatible, so for example, you can replace your 5GHz 802.11an legacy Access Point with new 802.11ac product and your existing customers will still be able to connect.